My Top Favorite Coolest Schwinn Bikes for Women! My Top Favorite Beautiful Schwinn Bikes for Women! Are you looking for the best Schwinn bikes for women being sold right now? You are on the right ‘bicycle page’ then! On this page you are going to find the best and most popular Schwinn bicycles for women around! *This is a gorgeous cream color Schwinn city bike for women in the picture above! The Schwinn Bicycle Company was founded by a German mechanical engineer named Ignaz Schwinn in Chicago, at the end of the 19th century. They made all kinds of bicycles, including cruisers, fast road bicycles, hybrid ones, mountain bikes and many more! My favorite women Schwinn bikes are the cruiser bikes, because they are fun and much more comfortable to ride! If you like speed and adventure, you will also find high-quality Schwinn speed bikes for women here as well! I hope you enjoy my bike selections and have lots of fun riding around your neighborhood! Gorgeous Schwinn Hybrid Bike for Women! First of all let’s start with the color! This is a beautiful sage green/looks like baby blue Schwinn bike for women! It is also very comfortable, very smooth and very fast to ride! It has 7 speeds, a spring seat and the right kind of handlebars to keep you riding upright but fast! I love the height and the fact that we can keep up with our husbands when riding this fun hybrid Schwinn bike! The tires are very narrow, which are perfect for riding on paved streets ultra-fast! 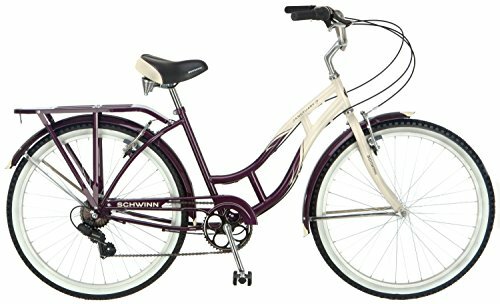 Beautiful Schwinn 7-Speed Cruiser Bicycle for Women! If you are looking for fast and beautiful Schwinn bikes for women you are going to love this one! It has a gorgeous white and burgundy color and it has 7-speeds, which is perfect for getting some exercise while having some fun at the same time! It also has a comfortable seat and a comfortable riding position! This one is a fast cruiser! This lady proves that bike assembly is not only for men! She put her Schwinn bike together all by herself! I am impressed! 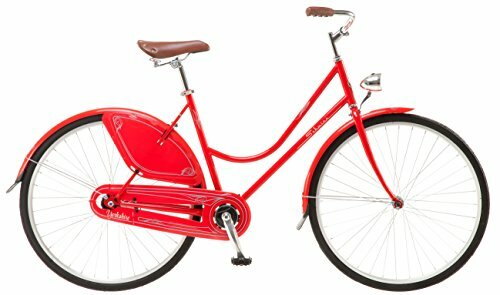 *Very Cute Schwinn Women’s Small Bike in Bright Red! 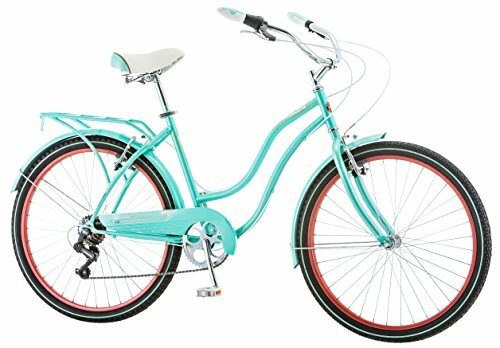 This is a very cute and very unique looking Schwinn cruiser bike for women! 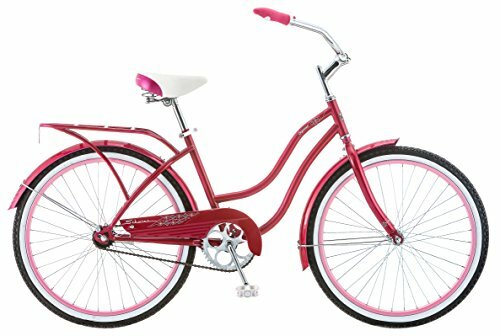 Women love to cruise around the neighborhood on this gorgeous Schwinn bicycle! It is super smooth to ride and super fast! Perfect for a beach town! I love the nice and comfy seat and the very nice and high handlebars! Gorgeous Stylish BLUE Color Schwinn Cruiser Bike for Women! 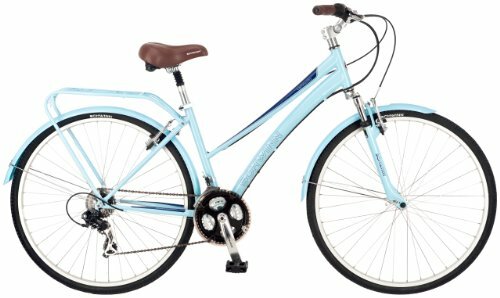 This bright blue cruiser bike is one of the most beautiful, girly and popular Schwinn bikes for women being sold online right now! 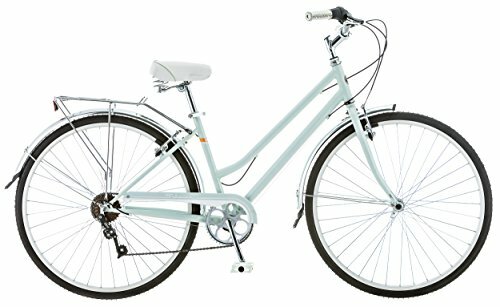 I love the fact that it is a very cute, girly and feminine blue bicycle and also extremely high-quality! It has a gorgeous white and blue comfy seat and comfortable high handlebars! It’s perfect for riding in an upright position and enjoying your surroundings! It it’s super cute, super fun and easy to assemble! Gorgeous and Unique Dutch Style Bicycle! Beautiful and very cool Schwinn cruiser bicycle for women! I love the light blue and white colors! Seems to be very easy and comfortable to ride! It is a Dutch bicycle! You will definitely stand out riding this gorgeous bike! I also love the front basket! The full strap fenders are also very handy when riding on wet conditions. Definitely one of my favorite bicycles from this page! 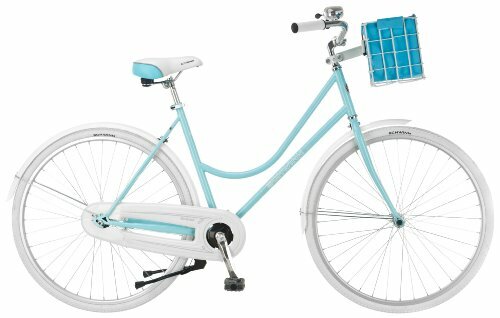 Beautiful Light Blue Schwinn Bike for Women! Comfortable and very lightweight light blue Schwinn women’s bike for sale! It comes with 21 speeds! 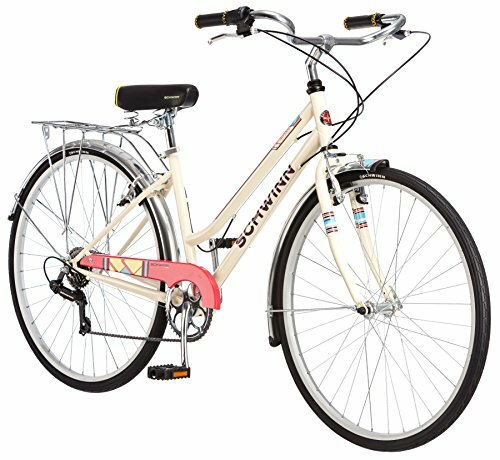 The Schwinn bikes for women are all very pleasant to ride! It comes almost fully assembled, all you have to do is install the handle bars, front wheel, pedals, and the seat! What a gorgeous Schwinn Trike for Sale! Trikes are absolutely perfect for older women! 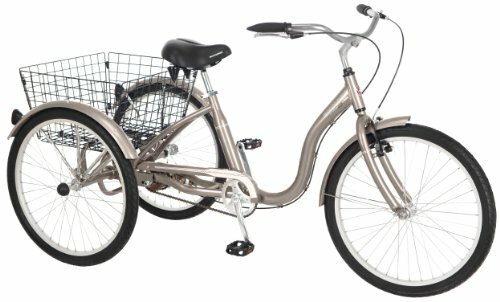 This gorgeous Schwinn dark silver tricycle is great not only for the elderly, but also for the overweight! It is a fun way to exercise outdoors and even run some errands! 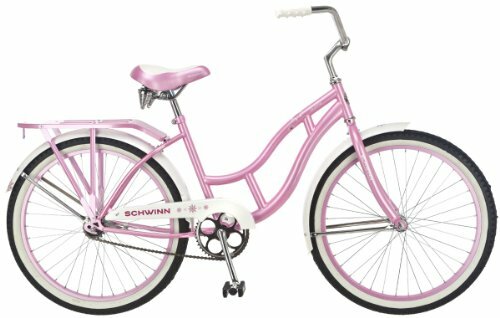 Cute 24-Inch Pink Schwinn Cruiser Bicycle for Short Women! This is a cute and girly pink Schwinn bike for short ladies like myself! This cute pink Schwinn cruiser is also very affordable and made from steel! Overall it is a great quality Schwinn bicycle with a nice padded seat and high handlebars. *Stunning 24-Inch PINK Schwinn Cruiser Bike for Teen Girls!